Sports Direct refers to its announcement of 3:09pm on 8th April 2019 in which Sports Direct noted that Debenhams plc (“Debenhams”) had rejected the proposal made by Sports Direct to underwrite a £150 million equity issuance by Debenhams. Sports Direct also noted that it continued to actively evaluate all possible options to support Debenhams. Sports Direct has since written to the board of Debenhams to inform it that Sports Direct continues to give active consideration to Sports Direct’s pre-conditional possible offer for Debenhams at 5p in cash per ordinary share announced on 25 March 2019 (the “Possible Offer”). Sports Direct has also made a revised proposal to Debenhams under which Sports Direct would underwrite a £200 million pre-emptive equity issuance to existing Debenhams shareholders (the “Equity Issuance”). The Equity Issuance, which would form part of a comprehensive refinancing of Debenhams, is subject to a number of conditions, all of which Sports Direct believes should be deliverable with the co-operation of Debenhams and its existing lenders, including the appointment of Mr Mike Ashley as Debenhams’ CEO as soon as practicable and Debenhams’ lenders agreeing to write-off (in aggregate) £82 million of Debenhams’ £720 million total debt facilities. Sports Direct has informed the board of Debenhams that Sports Direct is available to discuss this at any time. Sports Direct also called upon the board of Debenhams to engage with Sports Direct to find a solvent solution for Debenhams which is in the best interests of all of Debenhams stakeholders. Sports Direct wishes to confirm that, in addition to consideration of the Equity Issuance, it continues to give active consideration to the Possible Offer. Sports Direct has until 5.00pm on 22 April 2019 to announce either a firm intention to make an offer for Debenhams or that it does not intend to make an offer. Sports Direct reserves the right to reduce the Possible Offer consideration by the amount of any dividend (or other distribution) which is paid or becomes payable by Debenhams to the holders of Debenhams shares. 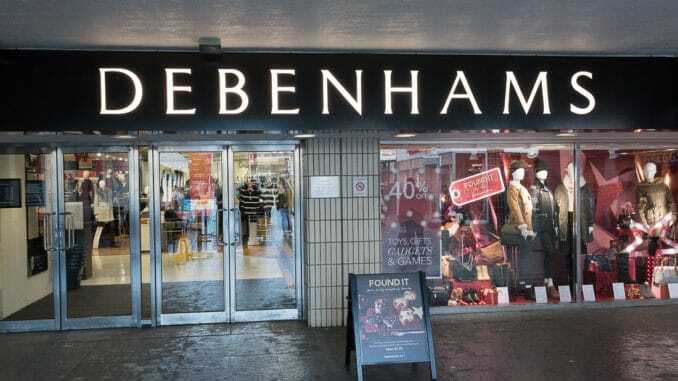 Whilst Sports Direct continues to actively evaluate all possible options to support Debenhams, it wishes to clarify that, as a technical matter, were it to complete, the Equity Issuance would be an alternative transaction to the Possible Offer and vice versa. It is important to note that this is not an announcement of a firm intention to make an offer under Rule 2.7 of the Code and, accordingly, there can be no certainty that an offer will be made for Debenhams even if the pre-conditions to the Possible Offer are satisfied or waived.